When I first picked up a book from Enzo Bianchi, I had no idea who he was. As the founder and prior of the Bose Community (a lay monastic community in the Benedictine tradition) and as consultor of the Pontifical Council for Promoting Christian Unity (appointed by Pope Francis in 2014), he is a major voice in monastic and Christian spirituality. Lectio Divina: From God’s Word to Our Lives is now the third book I have read from him (and the third book translated to English and published by Paraclete Press). In each book, Enzo has challenged me to new depths in my spiritual life. Bianchi’s treatment of Lectio Divina was more than I expected. 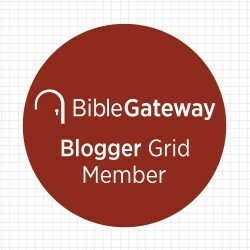 Most other Lectio Divina books I have read, either give simple practical guidelines and a method for the practice, or are gleanings from the author’s private devotional life. Bianchi does give practical advice on how to practice (especially in part two of this book) but he also gives a fuller treatment of the hermeneutics of spiritual interpretation. He references Ratzinger, De Lubac, Urs von Balthasar and others, as well as a range of patrisitic sources (Augustine, Origen, Ambrose, etc). For Bianchi, the practice of Lectio is not a subjective, privatized word from God, but an attentive reading (attending to the Spirit, to Christ and the text). He uses critical methods; yet reading in this way, is always about spiritual encounter. In part one, Bianchi commends spiritual interpretation. In chapter on,e he describes Origen’s exegetical method. Origen is representative of the Christian biblical exegesis practiced until the sixteenth century, before the critical era began and we had ‘simply one possible way of reading the Bible’ (9). So chapter two explores the relevance of spiritual exegesis for today, arguing for the Bible’s centrality in the life of the church, and the way it testifies about Jesus throughout the canon; however this isn’t a repudiation of critical gains in reading the Bible, though historical method is dethroned of ultimate importance. In chapter three, Bianchi explores God’s Word–Jesus Christ–and helps us think through how the Bible is also God’s word ( both inspired and human, reflecting the incarnation). Chapter four examines the unity of scripture and the way both testaments testify about Christ its center. In chapter five, Bianchi connects spiritual interpretation with the classic four-fold sense of scripture (literal-historical, allegorical, tropological, and anagogical). He relates each of these four levels of meaning to the four stages of Lectio Divina (Lectio, Meditatio, Oratio, and Contemplatio). This was a new insight for me. Part two is less conceptual and more practical. After giving a brief overview of the history of biblical interpretation in chapter six, Bianchi spends chapter seven walking his readers through the practice of Lectio Divina: (1) set aside a time and a place, (2) pray for the Spirit to open up the Word to us, (3) Read with an eye to the literal-historical meaning of the text, meditating and investigating the scripture to get at its deeper meaning, (4) pray and enter into the dialogue with the text in order to make more room for the Lord in your life, and finally (5) contemplate the passage and and have our gaze transformed into God’s way of seeing. Chapter eight describes challenges during Lectio Divina (i.e. that Catholics have experienced a ‘long estrangement from the Bible, the need for dailiness, and failure to read the Bible critically, engaged and Christologically. Finally chapter nine describes other challenges to practicing Lectio Divina (the text’s otherness, the need for community, etc.). Of the three books I have read from Bianchi, this may be my favorite. Bianchi takes us on a journey through patristics, spiritual theology, exegesis, contemporary Catholic theology and hermeneutics. Bianchi synthesizes these disciplines well and I came away with some fresh insights. I appreciate the way Bianchi connected the practice of Lectio Divina to the theology of spiritual exegesis operating in the church for centuries. I loved that he incorporated critical insights and study into meditation. 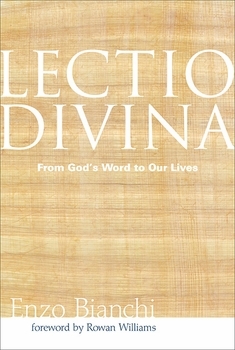 In Bianchi’s approach, the Lectio part of Lectio Divina involves reading with sensitivity and accuracy, discovering the intent and message of the original text (the literal-historical meaning). 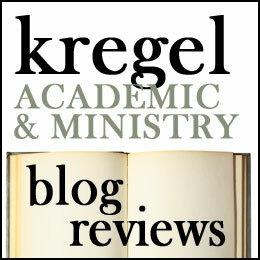 Meditatio involves study–checking commentaries, study notes, etc–in order to discover the theological and canonical connections. This, and Bianchi’s insistence that Lectio Divina is a communal discipline, guards from its practice becoming purely subjective and private. Bianchi’s approach is theologically sophisticated. And that is perhaps the weakness of this book. I tracked my way through Bianchi’s theology of scripture, Revelation, biblical exegesis, patristics and Christology. Had this been my first trek through these disciplines, I would have found this a hard read. Okay, I still found it a hard read, but I think a complete neophyte would be a little lost in places. I recommend this book highly to readers of theology and Christian spirituality, but I think Bianchi’s Echoes of the Word (Paraclete, 2013) may be more accessible for the general reader. I give this book five stars! Notice of material connection, I received this book from Paraclete Press in exchange for my honest review.